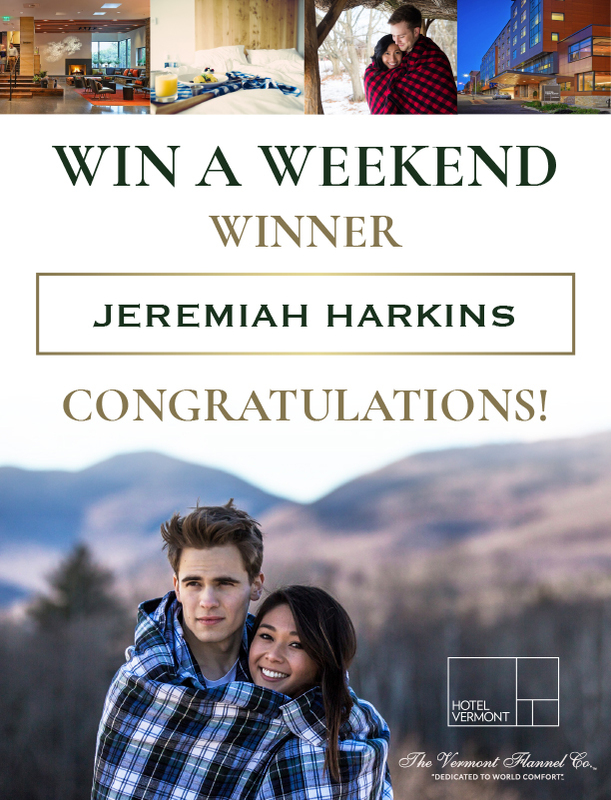 Win a weekend in Vermont - Handcrafted USA - The Vermont Flannel Co.
Congratulations Jeremiah Harkins! We hope you enjoy your two nights stay at Hotel Vermont, $200 Gift card for The Vermont Flannel Company, and a $200 Visa card. Stay calm and flannel on!